Here’s an alternative source of energy many have never heard of—bionic leaves. 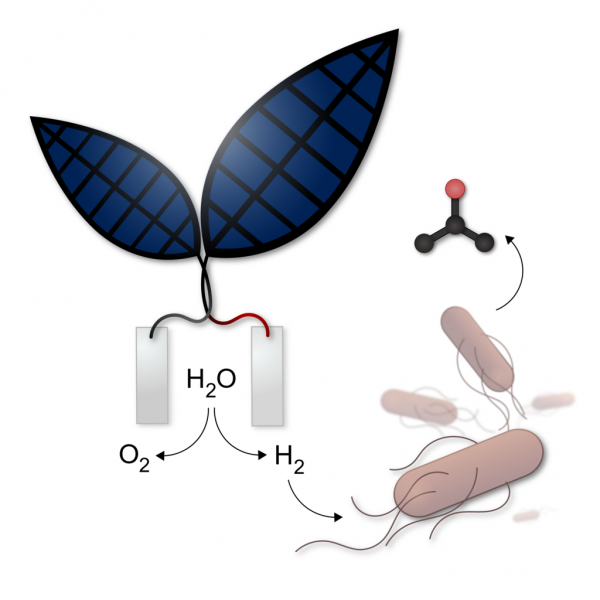 Scientists from Harvard University just made photosynthesis more efficient with what its creators are calling the “bionic leaf 2.0.” They’ve invented a new system that splits water molecules with solar energy and produces liquid fuels with hydrogen-eating bacteria. Lead researcher Daniel Nocera said that it is a true artificial photosynthesis system. “Before, people were using artificial photosynthesis for water-splitting, but this is a true A-to-Z system, and we’ve gone well over the efficiency of photosynthesis in nature,” he said. Apart from being able to produce usable fuels, the bionic leaves could also be harnessed for other products that utilize downstream carbon-based molecules. Formerly, the reactive oxygen species degraded and destroyed the DNA of the bacteria which are needed to create the liquid fuels. The tweak in system design led to a 10% efficiency in solar energy to biomass conversion, which is far above the traditional 1% seen in the fastest growing plants. Apart from efficiency, the system also includes isobutanol and isopentanol, which researchers used the system to create PHB, a bio-plastic precursor. Scientists asserted that the system’s chemical design allows for it to “self-heal,” which means it won’t leach material. Nocera said the system is already effective enough to consider possible commercial applications but within a different model for technology translation. He said there are plans to bring the technology to the developing world in the near future.